Wimbledon champion Angelique Kerber has successfully qualified for the 2018 WTA Finals in Singapore after an excellent year of results. After a breakthrough 2016 season, Angelique Kerber’s fall in 2017 was rather dramatic. She entered 2018 with a renewed mindset and regrouped her play as she broke back into the world’s top-five despite starting the year ranked 21st. The German produced an incredible comeback into the sport’s biggest stages, and her excellent resurgence saw her grab her third Major trophy as well. 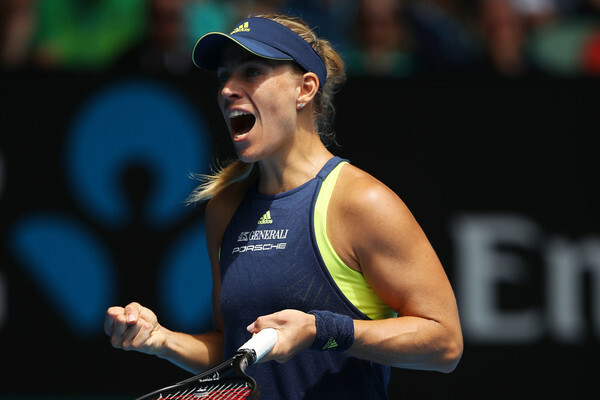 As a result, Kerber has successfully qualified for the year-ending WTA Finals in Singapore. Entering Singapore with an impressive 45-17 win-loss record, Kerber will look to compete for her maiden WTA Finals title to end her season on a high. Kerber rebounded from a disappointing 2017 in the best possible way — going undefeated at the Hopman Cup before steering to the title at the Sydney International with wins over Venus Williams and Lucie Safarova (saving a match point) in the process. A terrific Australian swing ended with a good semifinal run at the Australian Open, falling to Simona Halep in a tight match after ousting 2008 champion Maria Sharapova with the loss of just four games. It was six consecutive quarterfinals to begin the new year with, having reached the last eight in Doha, Dubai, Indian Wells and Miami after Australia. Kerber came out of nowhere to reach the quarterfinals at the French Open, ousting great clay-court players like Caroline Garcia and Kiki Bertens along the way. 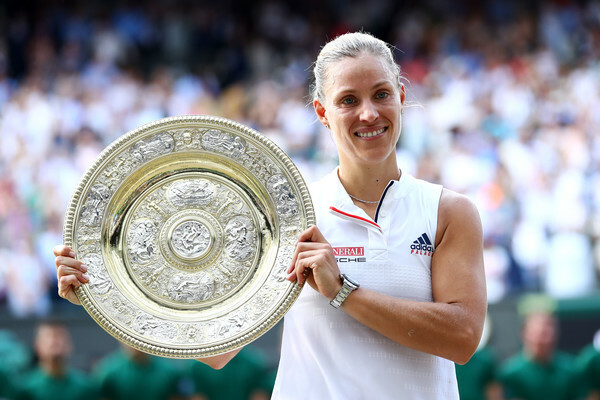 Surprisingly, Kerber came out of nowhere to grab the Wimbledon title. She defeated four future top players (Osaka, Bencic, Kasatkina, Ostapenko) consecutively, before shocking 23-time Grand Slam champion Serena Williams in the final. This is the second time she had defeated the American in a Major final as well. However, it has been a rather stale run of results for the German since then, but nonetheless, with her excellent first half of the year, she finds herself ranked third. Kerber has also rattled off four top-10 wins this year. 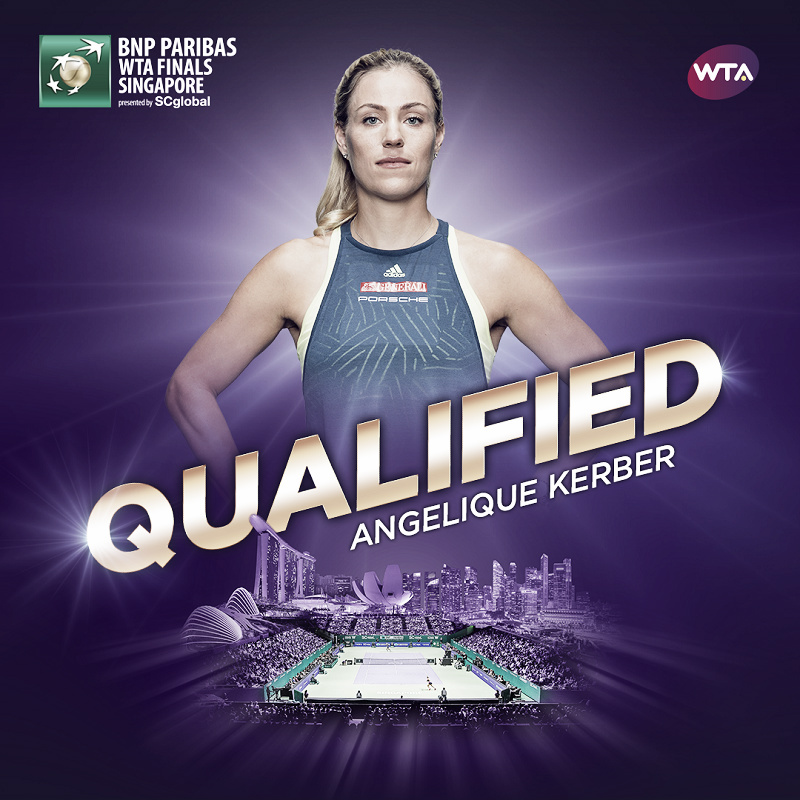 Kerber had previously come to Singapore as an alternate back in 2014 when the WTA Finals was held in Singapore for the first time. She qualified in 2015 but lost an all-or-nothing Round Robin match against Lucie Safarova, preventing her passage to the semifinals. However, she stormed into the final in 2016 as the world number one with a perfect round-robin record but fell to an inspired Dominika Cibulkova ultimately. “I am honored to qualify for the WTA Finals in Singapore this year. I have many memories of competing in Singapore, especially reaching the final in 2016, and I’m excited to be back and play in front of the amazing fans,” Kerber mentioned in an official statement. The WTA Finals will begin play on 21st October, and this is the last edition whereby Singapore will be holding the event.